During the summer, we’re doing what any good TV network does and playing mostly reruns. If you joined Coffee with the King part-way through 2015, this will give you the opportunity to catch up on some previous series. Either search the archives, or binge-read through previous notes on Matthew’s Gospel in chronological order, which will be freshly re-posted each day. See yesterday’s notes for an introduction to the Sermon on the Mount. Now it’s true that these nine attitudes are appropriate behaviour for a Christian, but that lesson is secondary to what’s really going on in the text. Jesus isn’t saying ‘if you want to be blessed’ or ‘if you want to be happy’ you need to try hard to be poor in spirit, to be meek, to be peacemakers. He’s not saying ‘if you want to inherit the earth you need to be meek’, or ‘if you want to see God you need to be pure in heart’. Those things may indeed be true, but here they are not conditional promises from God: if you can somehow be this, then God will give you that. The primary purpose of the Beatitudes is not to tell us how we should behave. The primary purpose was to tell the crowds who were listening something about Jesus, and something about the kingdom of God that Jesus was bringing in. Then Jesus goes on to quote various understandings of the law using the phrase ‘you have heard it said…’ (referring to the Old Testament, or popular Jewish understandings of it), and then he says ‘but I say to you…’. This is a pretty audacious claim. This is what the law says; but I say to you! Adding all this together, when we see Jesus up on top of a mountain redefining the Law – and talking about how he has come to fulfil it – Jesus is making a pretty big claim. Because the last person to be up a mountain and presumptuous enough to tell everyone God’s law was none other than Moses himself. But even then, he was only repeating the words of God. However, here we have Jesus in a similar situation to Moses, announcing ‘but I say to you…’ In effect, Jesus was claiming to be greater than Moses. And just as Moses brought the law to govern how God’s special people should live, so Jesus was bringing a new way of life that would govern those who enter into God’s new kingdom. So by ascending a mountain to give his own teaching on God’s requirements – his own ‘law’, if you like – Jesus is hinting that he is the fulfilment of the Old Testament. He’s none other than the Messiah, God’s chosen one! Now, although ‘blessed’ is the traditional translation, in context it doesn’t really capture the Greek word used in Matthew’s Gospel, nor the Hebrew word behind it. Some modern translations go for ‘happy,’ but that seems a little trite. The kingdom of God results in much more than happiness; its coming is a cause for joyous celebration! It’s the means by which all our deepest needs and longings will be filled! ‘Joyfully satisfied’ is the closest I can come up with: joyfully satisfied are the poor, the meek, those who mourn, those who hunger and thirst after righteousness – for the kingdom of God has come! Joyful satisfaction is found in following Jesus and entering into the kingdom of God. Despite how much you are struggling now, Jesus brings hope, comfort, and the promise of justice. Good news for everyone who knows their spiritual poverty, because God’s unfathomable riches have been made available in Jesus! Good news for everyone who mourns over the state of this world, because God has brought comfort in Jesus! Good news for everyone who is meek and powerless in this world, because God is bringing justice through Jesus! 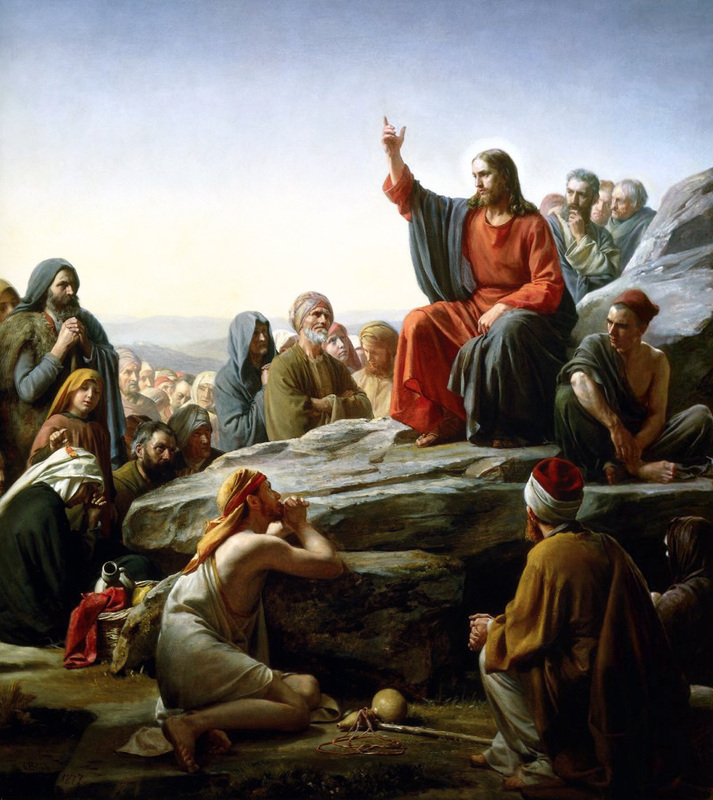 Has this changed the way you think about the Beatitudes? If so, how? How is the message of the kingdom good news for you? And here’s the money question: if you were to explain the gospel (“good news”) to a friend in light of the Beatitudes, how would this change what you said?